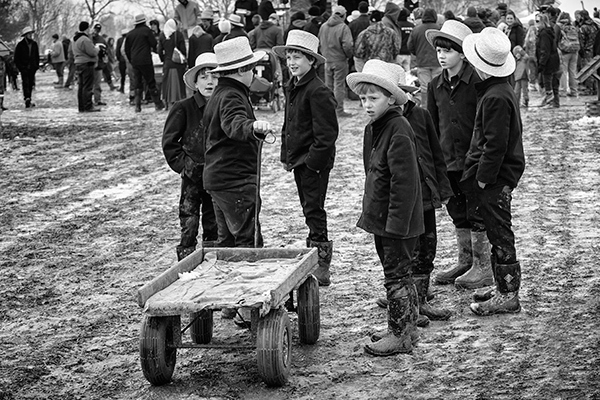 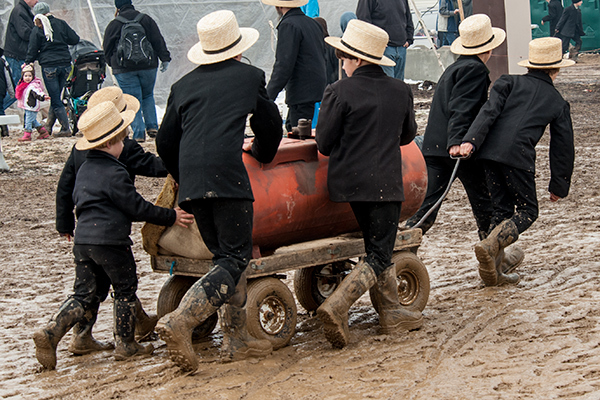 Amish boys bring their wagons to the mud sales and offer assistance to buyers who need to get purchases to their cars from the auction site.The popularity of the mud sales means parking is hard to come by and walking a half mile or more is not unheard of. 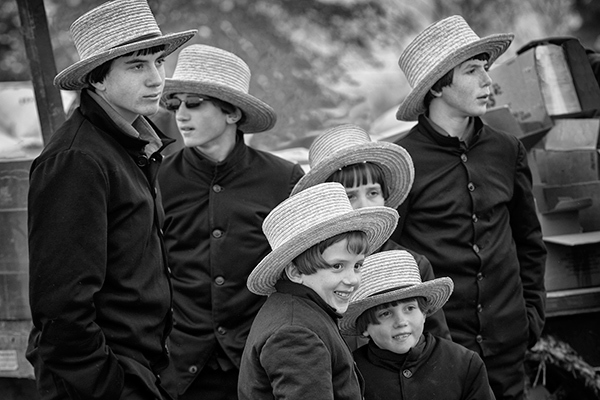 For me,I get there around 530 in the morning,get the best parking available and then sleep till the sun comes up. 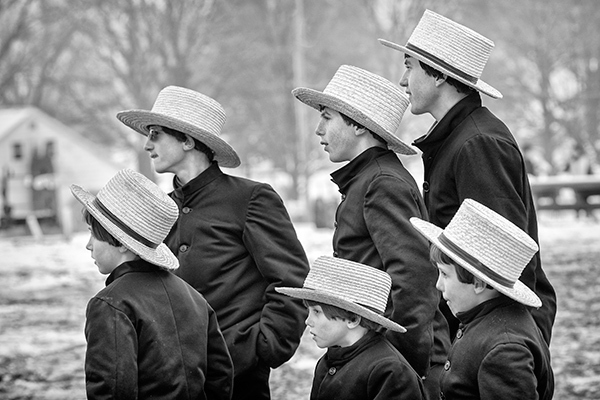 The boys make a few dollars off each patron and the english as they are referred too, love to have the boys help, and for many it is their closest interaction with the Amish. 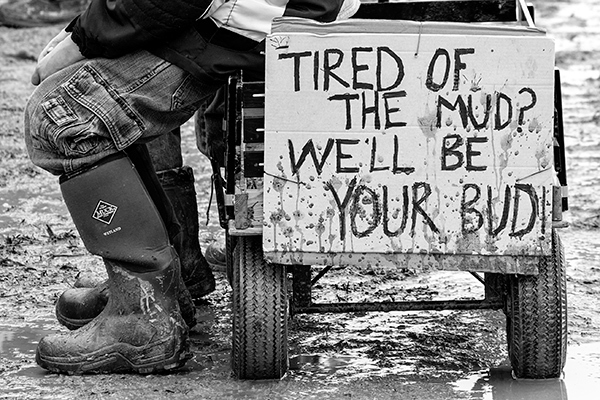 Each worker tries to stand out, and customizing their wagons with signs is all part of the fun as shown in the middle image.The bottom photo shows how muddy it usually is and shows the boys hauling practically anything. 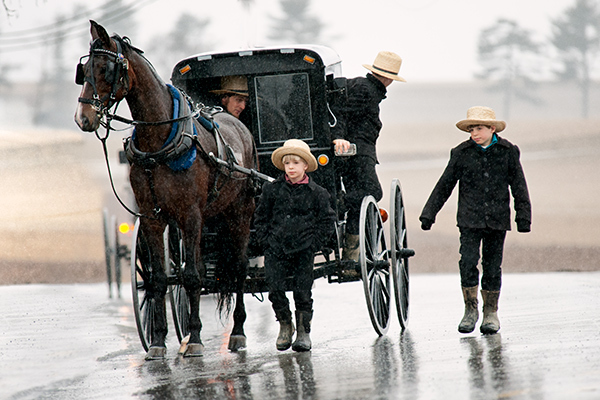 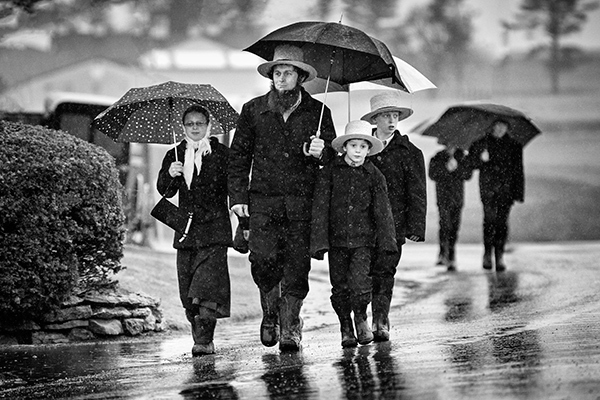 This family heads to the mud sale amidst pouring rain and is doing their best to stay dry. 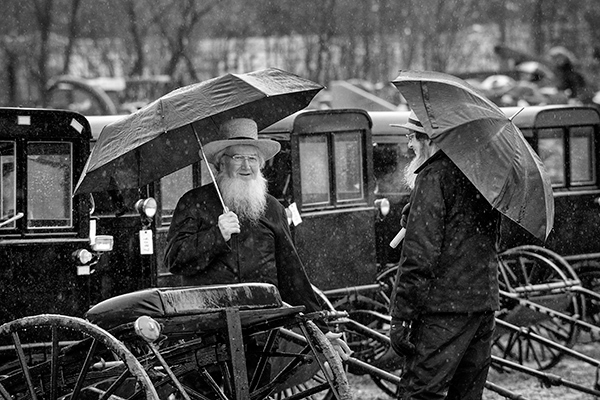 These two Amish men talk about the goings on at this years mud sale while they try to stay as dry as possible.